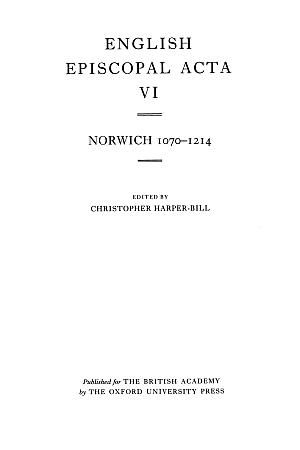 Bibliographic Title: Norwich 1070-1214. C. Harper-Bill. English Episcopal Acta, Volume 6. British Academy, Oxford University Press. Oxford. 1990.